Three of the world's leading democracies are among the fiercest enemies of the Internet—so says a report by Reporters Without Borders. 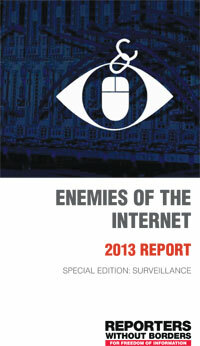 India, US and the UK found place with usual culprits China, North Korea, Saudi Arabia and Iran in the annual report of the international non-profit, Enemies of the Internet. The report criticises the surveillance practices of the UK and India; the “electronic great wall” put in place by China; and the “digital tyranny” of the authorities in Uzbekistan.